Italy’s earthquake death toll has risen to at least 247 as thousands of rescuers continue efforts to find survivors. According to officials, dozens are believed trapped in ruined Amatrice, Accumoli and Pescara del Tronto, in mountainous central Italy. The 6.2-magnitude quake hit at 03:36 local time on August 24, at 65 miles north-east of Rome. There were several hundred tremors after the quake, some of which were felt in Rome. 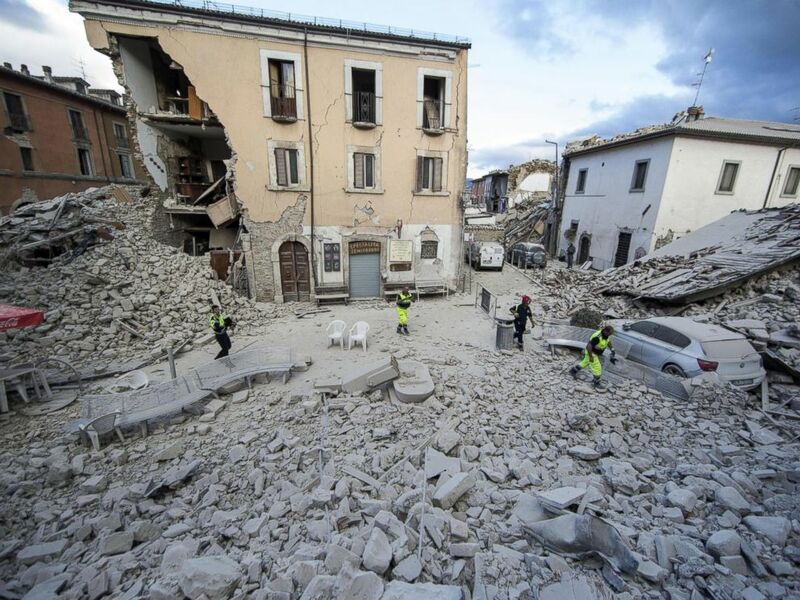 The latest death toll was given on Thursday morning – 190 deaths in Rieti province and 57 in neighboring Ascoli Piceno province. Rescuers said they had pulled five bodies from the ruins of the Hotel Roma in the historic town of Amatrice. As many as 70 tourists were staying at the hotel when the quake struck. Many are feared to be in the rubble, though several were pulled out and given medical care. Yesterday there were cheers in the village of Pescara del Tronto when a young girl was pulled alive from the rubble after being trapped for 17 hours. Almost all the houses there had collapsed, the mayor said. The earthquake struck small towns and villages in the mountainous area where the regions of Umbria, Lazio and Le Marche meet.